Protective Bottle Sleeve are specifically designed for Dr. Brown's wide neck glass bottles, it securely fits over the bottle, making it easier for babies to grasp. It also helps to prevent heat transfer, protecting hands from bottles that are too warm. 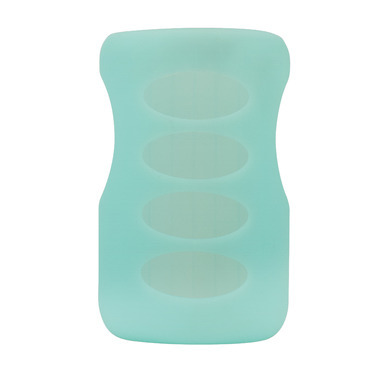 The silicone sleeve for glass bottles has cutout holes, so you can see the amount of liquid remaining inside the bottle.